This tutorial uses My Memories and the free Clipping Magic program. Here's the page I made. 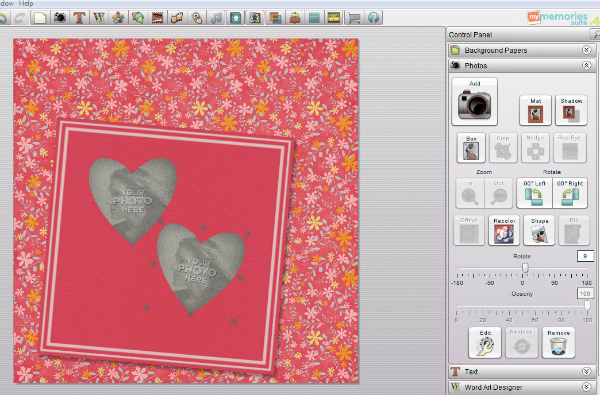 Instead of having the heart shaped photos on top of the page the hearts are actually cut out of the background and the photos are behind them. The kit is Lindsay Jane's It's A Girl Thing. 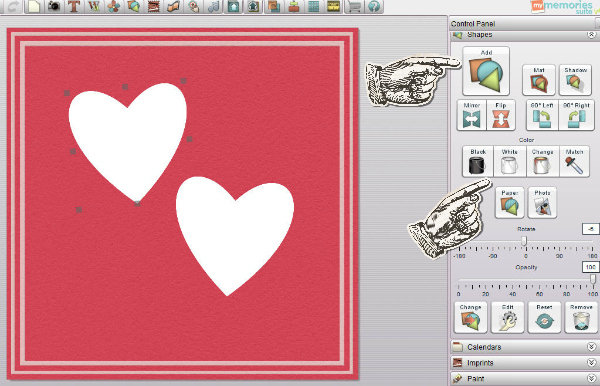 Start with a background (textured papers work well) and add shapes. Make them white so that they show up against the dark background - or black if you have a light background. The program works best when you have good contrast. Save it as a large jpeg. Go to www.clippingmagic.com and upload it. 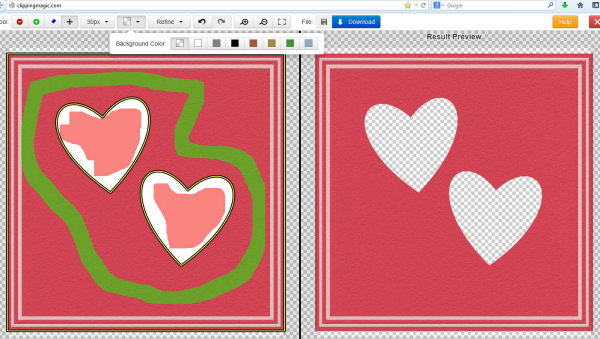 Using the + and - tools at the top, "draw" in red where you want the hole to be. You don't need to fill it all in, the program will work out where the edges are. use the green tool for the bits you want to keep. Download the result (blue Download button at the top) when you're happy with it. Add it to a new MMS page. Since it doesn't download at full resolution I used it as a smaller frame. Add your photo boxes. 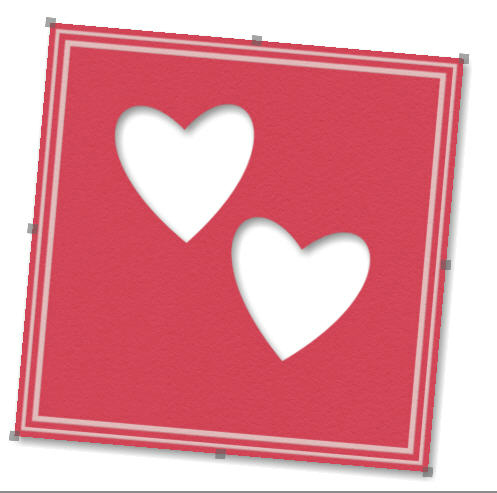 Since the photos are going behind the heart frames anyway you could just leave them as square boxes but making them heart shaped enables you to see which part of the photo is going to show. Tips: Heart shapes work best when two people are in the photo. Or a cat's ears! Add you photos and right click to send them backwards behind the frame. Add your embellies. 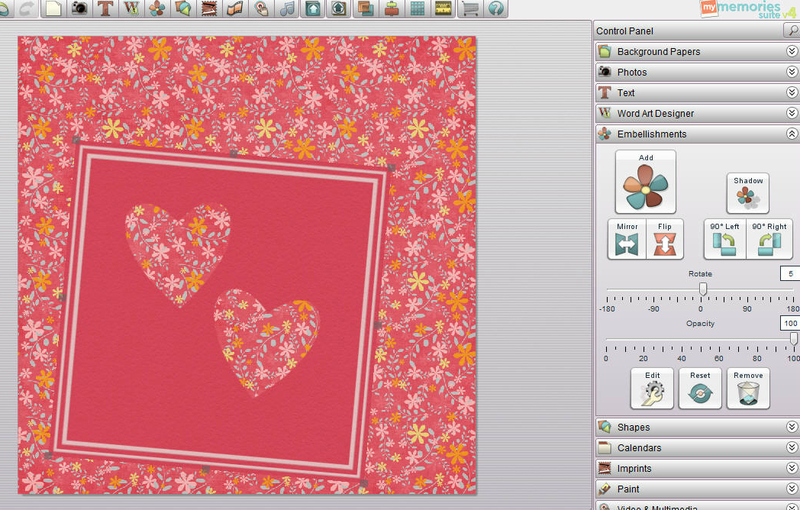 To see how this program works with text and a quickpage see Yobeth's tutorials listed HERE. 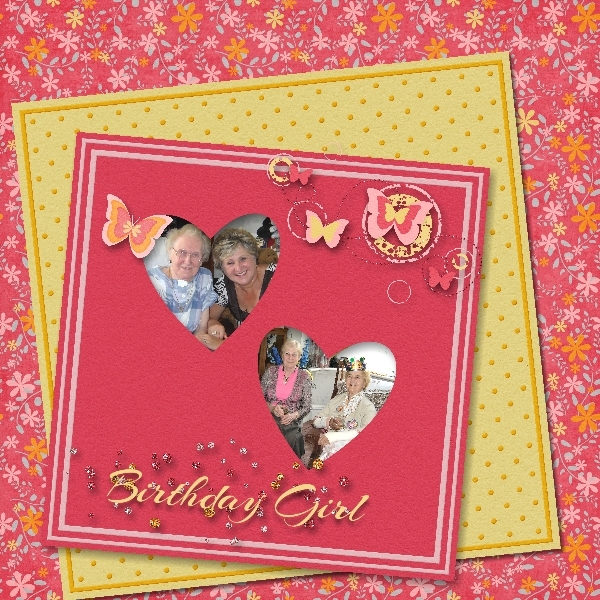 (c) Sharon Horswill and Coastal Scrapbooks. All Rights Reserved.